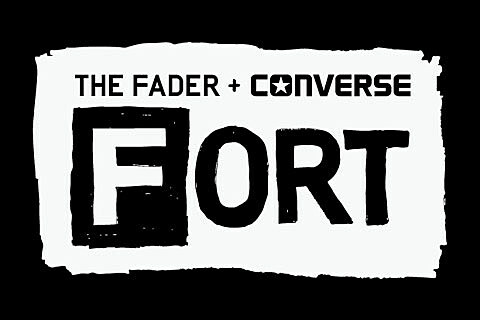 We’ve teamed up with Converse and SXSW to build The FADER FORT Presented by Converse and are heading to Austin, Texas to host our annual four-day showcase. Today, we’re stoked to announce that Santigold, all four members of the Black Hippy collective [aka Kendrick Lamar, Schoolboy Q, Jay Rock, and Ab-Soul] and Zola Jesus will perform. Stay on top of more lineup announcements, coming soon, by following FADER on Twitter and joining our mailing list. If you can’t make it to the FADER Fort, Fuse will also be streaming it live. As we recently pointed out on BrooklynVegan, FADER’s new issue has an interesting article on Black Hippy, and member Schoolboy Q has a new video for “Druggy Wit Hoes Again,” featuring Ab-Soul which you can watch below. If we had to guess, you’ll also be able to catch Danny Brown at FADER Fort this year, since he is going to be in Austin for SXSW (Fool’s Gold and Pitchfork have him), and like Kendrick Lamar, he is on the cover of the new issue. Danny Brown also visits Stubb’s as part of his tour with Childish Gambino. Zola Jesus also plays the official Sacred Bones showcase.